Did you know that every state has a state arts organization? These arts organizations are on the front line to keep the arts alive and in the forefront for support and legislation. Each year they battle over the budgets, promote the arts, provide many services to artists as well as regional and local organizations. Often they provide grant monies for both individual arts and organizations. City of Jasper Mayor Terry Seitz welcomes the IAC for their quarterly meeting. 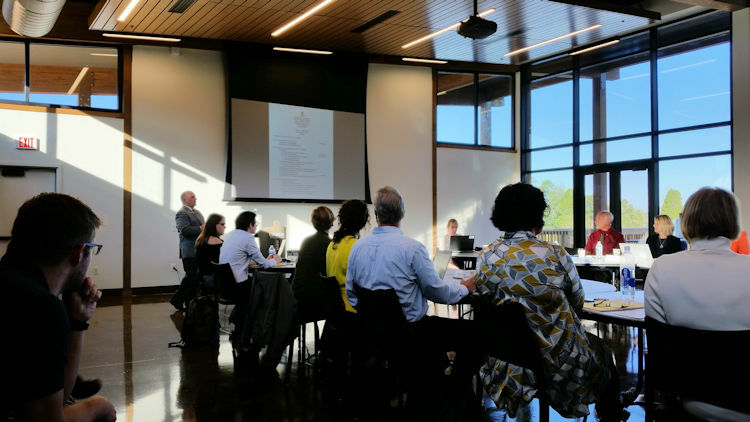 The Indian Arts Commission held their quarterly meeting in Jasper on Friday, the city where I used to work. Jasper is the only city in the state with an arts department, on par with the parks department, the street department, fire, water, etc. The community really supports the arts. Lewis Ricci (blue shirt), Director of the IAC, addresses the board. I decided to attend since I’d worked with many of these people for the better part of two decades. It was good catch up with old friends and to find out what the current issues were and plans for the future. 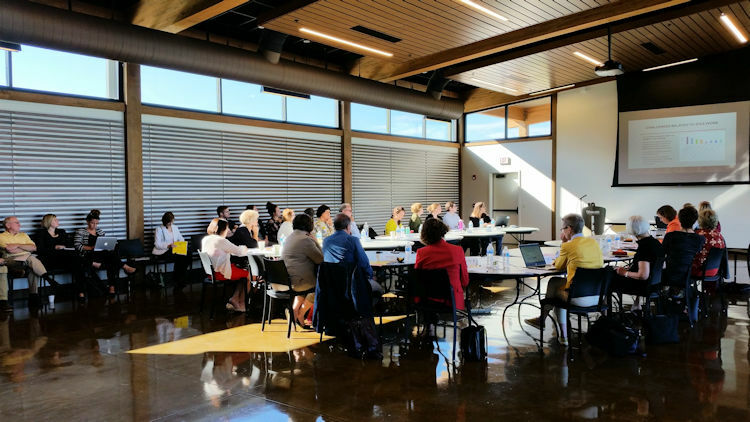 Lauren Robel, IU Provost and Executive Vice President, addressed the commission on IU’s Center for Rural Engagement’s study on the activities of the arts in the less populated areas of the state. 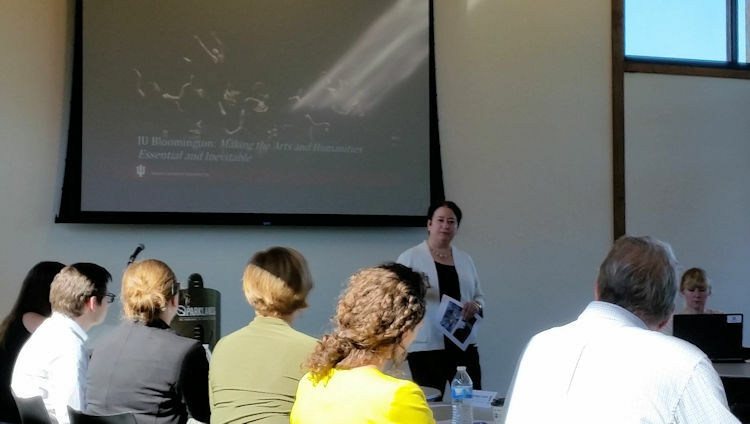 My favorite part of the meeting was a presentation by Lauren Robel, IU Provost and Executive Vice President about Indiana University’s Center for Rural Engagement. Quality of life is a big part of their mission. They have held a years-long survey of arts organizations and activities in rural Indiana. So many times we imagine the arts as only being in cities but there is a whole lot going on in less populated areas; we just don’t always know what it is or how to find it. The IU group is trying to make those connections. Several members of the public attended as well as staff from Jasper Community Arts and other regional organizations. 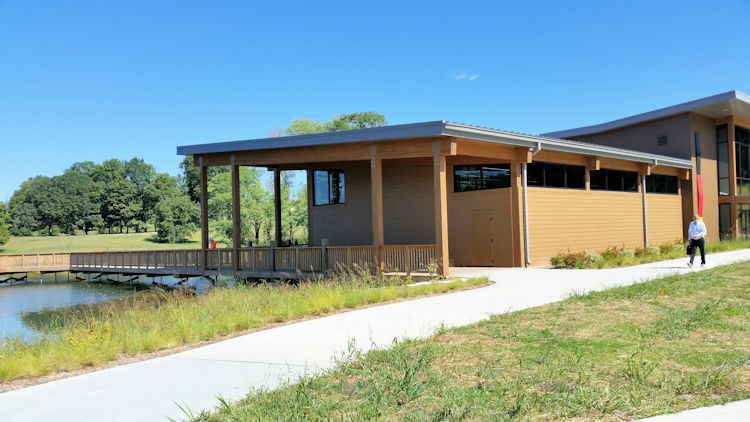 The meeting was held at the new pavilion on the grounds of the Parklands, Jasper’s newest city park. 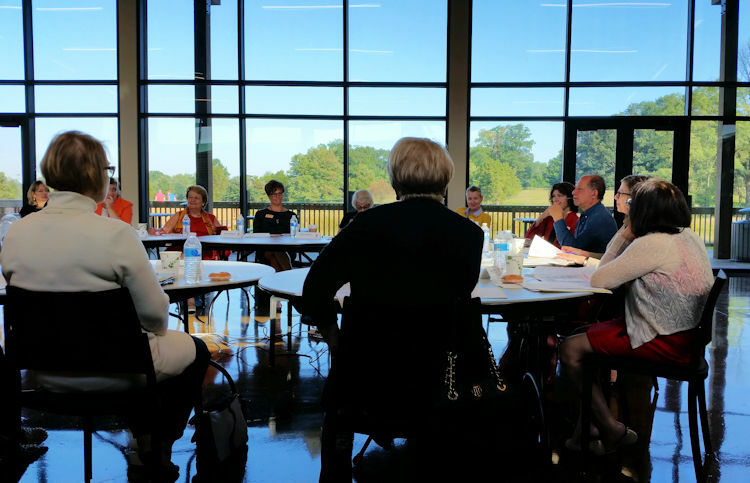 The meeting was held at the new pavilion on the grounds of the Parklands, Jasper’s newest city park. I urge you all to do a little research for your own state to find out what is happening in the arts and how you can support it. Or, maybe they can support you! Check this link to find national, regional, and state arts organizations. This entry was posted in opinion and tagged art, arts organization, Center for Rural Engagement, IAC, indiana, indiana arts commission, IU, parklands, state arts. Bookmark the permalink. I didn’t know that about Jasper! Love their old courthouse though. There are several small towns in southern Indiana with lovely courthouse squares. I like the one at Paoli, too.